Success! Bryan from Tanzania raised $838 to fund orthopedic surgery. Bryan's treatment was fully funded on August 14, 2018. Surgery was successful, and he was discharged after one day. He will now be able to walk and play without pain. Bryan is a young student from Tanzania. He is the youngest in a family of three children. Bryan’s father depends on odd jobs as a constructor, while his mother is a stay-at-home mother. Bryan was diagnosed with bilateral genu varus. His legs bow outward at the knees. This condition is typically caused by an excessive accumulation of fluoride in the bones, which often stems from contaminated drinking water. As a result, he complains of pain especially after walking for a long distance or after playing with his friends. Our medical partner, African Mission Healthcare, is requesting $940 to fund corrective surgery for Bryan. The procedure is scheduled to take place on July 6. Treatment will hopefully restore Bryan’s mobility, allow him to participate in a variety of activities, and greatly decrease his risk of future complications. Bryan's case was submitted by Joan Kadagaya at African Mission Healthcare Foundation in Tanzania. Bryan was submitted by Joan Kadagaya, Curative Medical Support Program-Partner Representative at African Mission Healthcare Foundation, our medical partner in Tanzania. Bryan received treatment at Arusha Lutheran Medical Centre (ALMC). Medical partners often provide care to patients accepted by Watsi before those patients are fully funded, operating under the guarantee that the cost of care will be paid for by donors. Bryan's profile was published to start raising funds. Bryan's treatment was successful. Read the update. Bryan's treatment was fully funded. Patients with genu valgum (or "knock-knees") have knees that bend inward and cause an abnormal walking gait. Patients with genu varum (or bowleggedness) have knees that bend outward and cause knee or hip pain and reduced range of motion in the hips. The patient's mobility is hindered, which can prevent the patient from making a living through physical labor. The patient may also develop arthritis later in life. In the United States, supplemental fluoride is added to the water to improve dental health. However, in areas of northern Tanzania, there is too much naturally-occurring fluoride in the water, which causes bone curvature. After surgery, the patient will stay in the hospital for 4-5 days. During this time, the surgical wound will be monitored for swelling and infection. The patient will complete physiotherapy to help him or her walk or move the limbs. A series of X-rays will be performed over several months to monitor the healing process. The bones and joints will be aligned, and long-term disability will be prevented. This procedure is not risky, but it is time-consuming. The rehabilitation process can take several months. Care is not easily accessible. Most patients live in remote, rural areas and are identified through mobile outreach. The pediatric surgical program at Arusha Lutheran Medical Centre was started to meet the large burden of pediatric disability in the region. There are no alternatives. Although some cases can heal on their own, the patients submitted to Watsi require dedicated treatment. Grace is a farmer from Kenya. She has three children. In 2012, Grace began to experience troubling symptoms. She was diagnosed with a multinodular goiter. She needs surgery to prevent her symptoms from getting worse. Our medical partner, African Mission Healthcare Foundation, is helping Grace receive treatment. 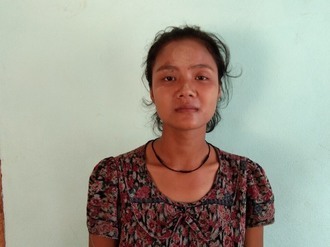 She is scheduled to undergo a thyroidectomy on April 15 at our medical partner's care center. Surgeons will remove all or part of her thyroid gland. This procedure will cost $625, and she and her family need help raising money. “I have no one to turn to and I have just bene waiting for God’s intervention. I hope Watsi will assist me so that I can be able to live my normal life and continue caring for my children,” says Grace.